Keeping with the Halloween theme, I decided to share a little post about the fun & easy treats we made this year. I know Halloween is over 😦 , but these can be great for any theme parties, potlucks, or just stash the ideas away until next year! 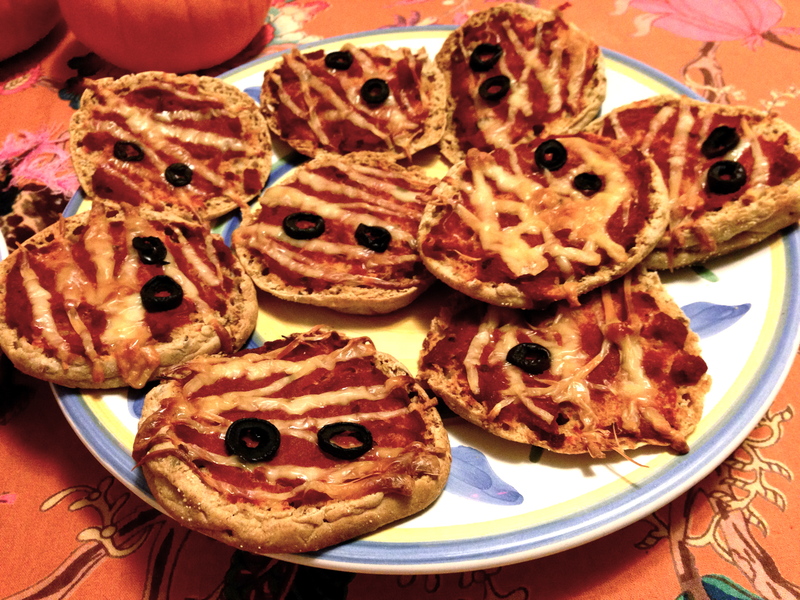 Once you have all of the above ingredients, you just split all the muffins, layer with sauce, strips of cheese (so that it looks like mummy wrappings) and two olives for eyes. Bake in the oven until the cheese is bubbly and golden & enjoy! Once you have these ingredients its just a matter of baking the cupcakes as the box instructs, letting them cool, then decorating! 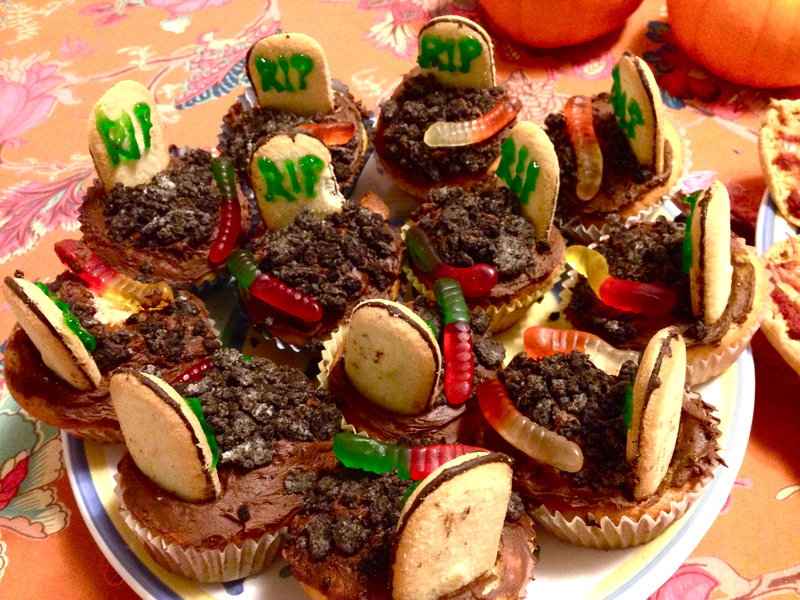 To decorate you simply frost the cupcakes, cover with crushed Oreos (so it looks like dirt), stick on a worm or two and then add your Milano tombstones. Do you have any favorite Halloween treats?